As an "i" on the DiSC profile, Brooke's passion is to energize a crowd. However, she has used her many unique experiences and interests to write and collaborate on a number of projects that are very close to her heart. The following is just some of her writing to give you a flavor for the kind of speaker/consultant/coach you will be engaging with on your next venture. This collection of blogs was written for a healthcare audience from the perspective of a patient "in the know." "We have found Turn Your Customer On to be an excellent source of specific, actionable ideas that we are using to take our game to the next level. 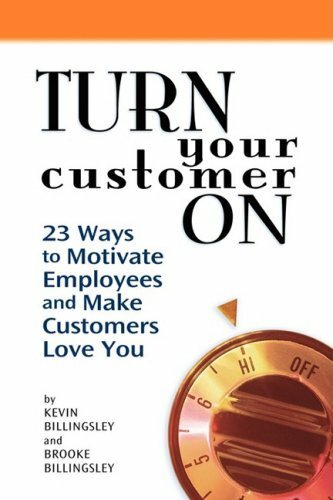 I recommend this book to anyone looking for thought-provoking ways to delight your customers and grow your business." -- Peter Dunn "CEO, Steak n Shake"
The 25 stories in The Second Best Thing were written or collected by Brooke during her tenure as an executive with a wish granting organization. This book is written in memory of Katie Dolish.